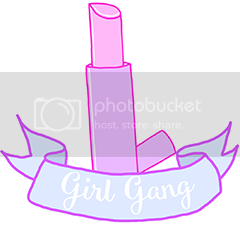 Rambles from my makeup box. 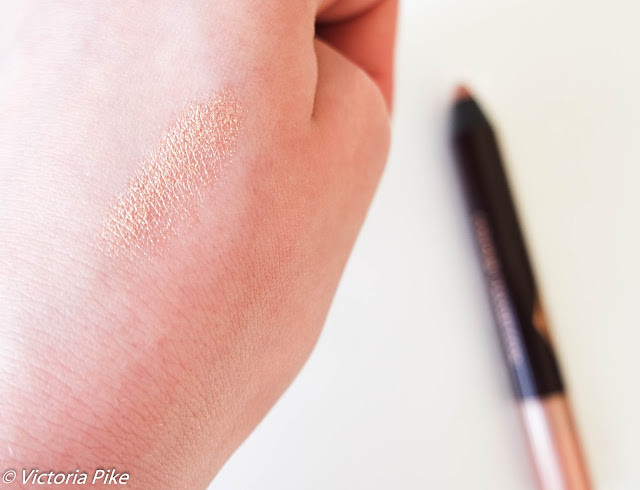 : Charlotte Tilbury - Colour Chameleon in Champagne Diamonds. 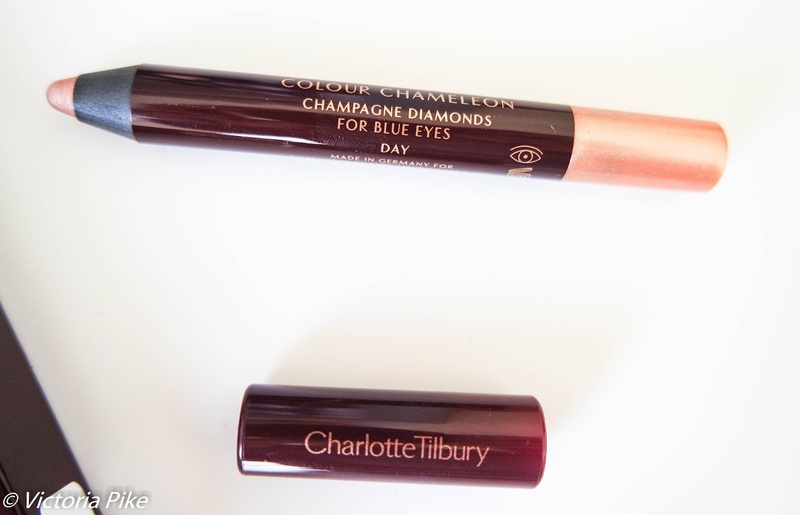 Charlotte Tilbury - Colour Chameleon in Champagne Diamonds. Enhancing my natural eye colour is something I like to do on a daily basis as unfortunately my dark blue eyes never seem to pop, especially on camera. So when I saw these gorgeous eye shadow sticks from Charlotte Tilbury that help to enhance eye colours I had to pick one up! As with all Charlotte Tilbury products the packaging is just gorgeous! The colour I chose was Champagne Diamonds which is a wonderful gold colour that almost exactly matches the colour of the Becca Cosmetics Champagne pop highlighter. To apply I simply draw it on over the lid and then smudge it in with my finger tip to give it a more smoked out look and to sure it is blended properly. I would recommend doing one eye at a time though as this eye shadow sets quickly, and once it sets that's it, and it does not budge! This eye shadow really does help to make my blue eyes pop that slight bit more, and the last time on this is incredible. 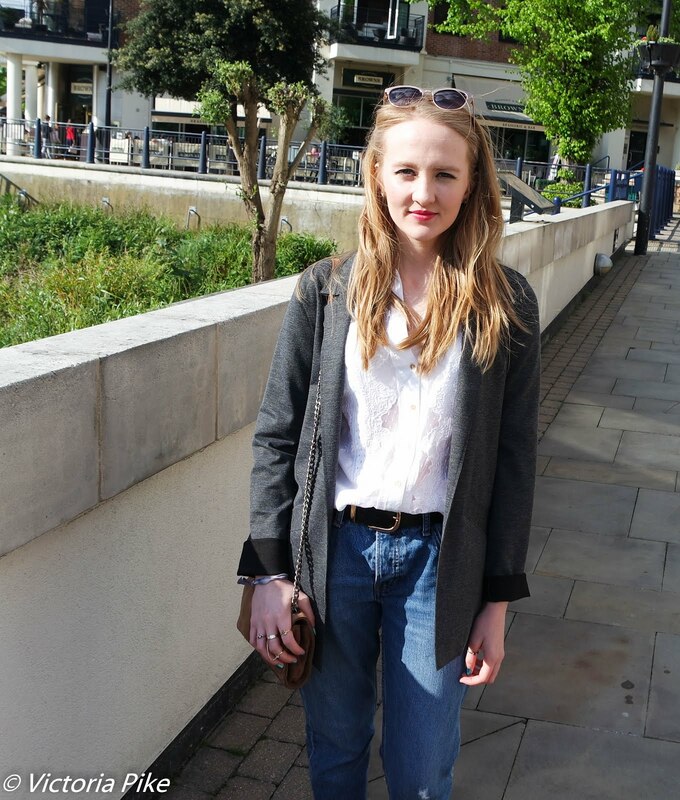 I can wear it all day without it starting to fade at all! I love this eye shadow stick as it is so quick and easy to use, and I will definitely be picking up more colours from the range! 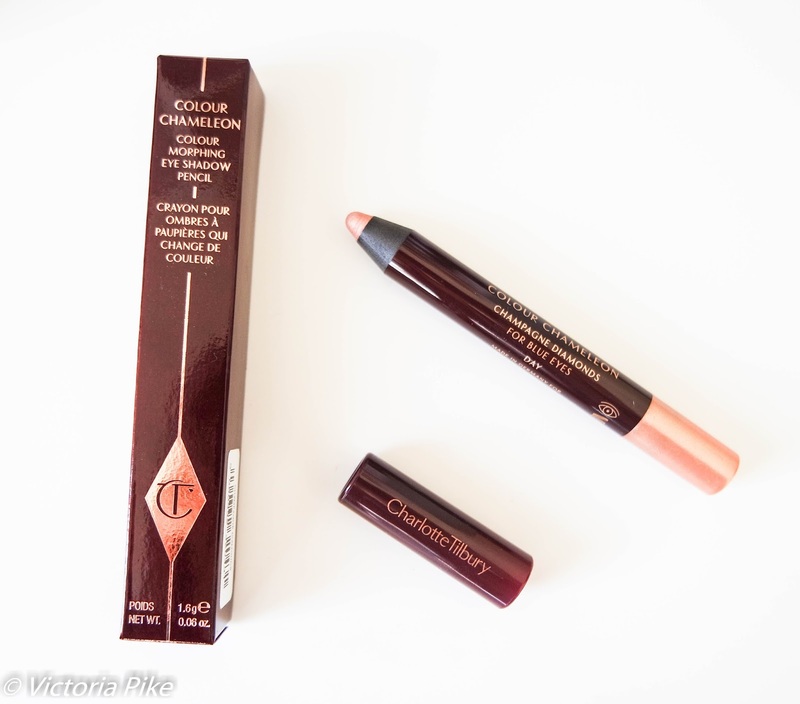 Each eye shadow stick costs £19 and you can buy one here: Charlotte Tilbury Colour Chameleon - £19. Becca Cosmetics - Champagne Pop. Urban Decay - All Nighter setting spray. © Rambles from my makeup box. : Charlotte Tilbury - Colour Chameleon in Champagne Diamonds.